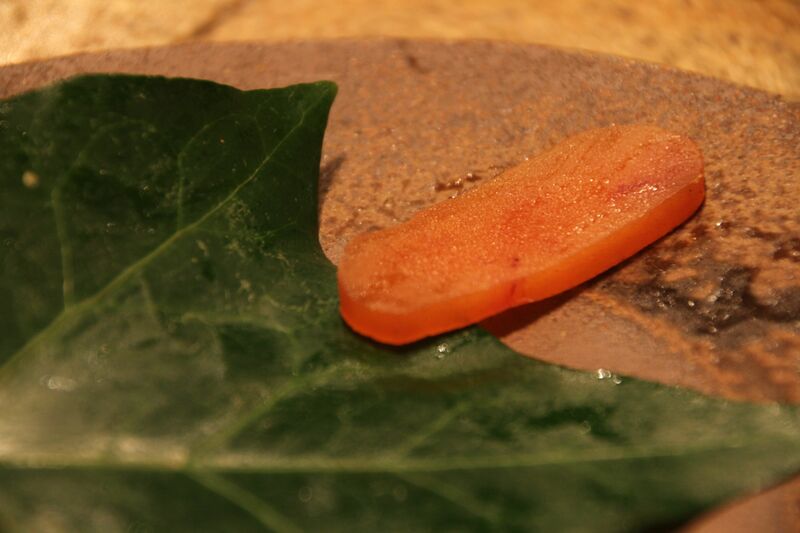 There are numerous fine purveyors of bottarga but none come close to the bottarga, or known in Japan as karasumi. Often prepared through a multi-step curing process over several weeks days. It’s a painstakingly long and laborious process to prepare karasumi and eat chef uses their ‘secret ingredients’. Tender and moist you taste the true essence of deep flavored roe with a sweet kumquat-like lingering flavor that sends an intense aroma through the back palate. In Japan a karasumi can cost as much as $500+ but for those in search of a more affordable roe can acquire Taiwanese versions.